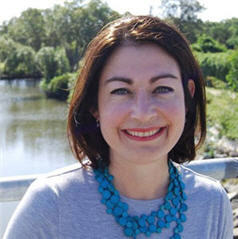 Terri Butler has served as the Federal Member for Griffith since 2014. 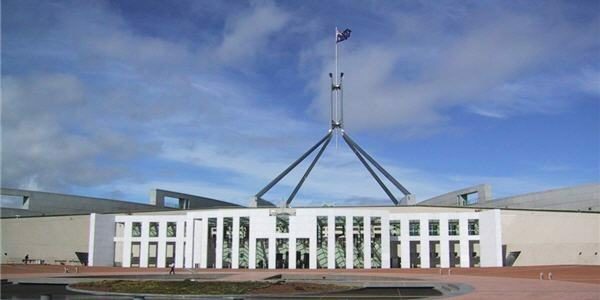 She was elected in a by-election after former Prime Minister Kevin Rudd left Parliament. 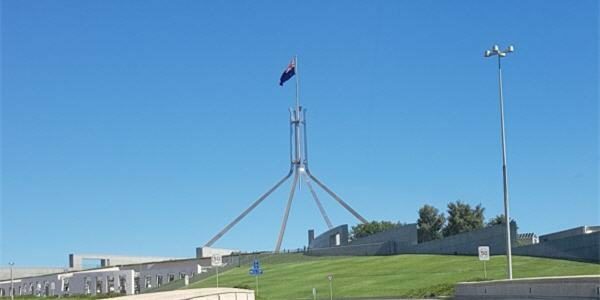 Terri Butler is the Shadow Minister for Young Australians and Youth Affairs, and the Shadow Minister for Employment Services, Workforce Participation and Future of Work. Terri and her office has always graciously dealt with the Oz Kiwi team, and Terri supports a Fair Pathway to Citizenship for New Zealanders who are long-term residents of Australia. If you live in Terri’s Brisbane electorate of Griffith please consider making contact with her office to discuss your issues further. As an MP, Terri co-founded the Parliamentary Friends of Innovation and Enterprise, co-chaired parliamentary friends groups for Tourism, the AFLW, and Meals on Wheels. She has previously served as a Shadow Parliamentary Secretary and Shadow Assistant Minister in the fields of domestic violence, universities, and equality. In the latter capacity she worked closely with the LGBTIQ community in relation to attaining marriage equality. Terri has also served on Parliamentary Committees for employment, education and training, corporations and financial services, social policy, and parliamentary procedure. In 2014, as a new backbencher, she led Labor’s Cost of Living Committee. “As the Shadow Minister for Young Australians and Youth Affairs I focus on making sure young people have a voice in the decisions that affect them. Decisions made in governments and parliaments have a real impact on their lives and they deserve a say. As Shadow Minister for Employment Services, Workforce Participation and Future of Work, she fights for opportunities for people who are out of paid work to be supported into employment or entrepreneurship. 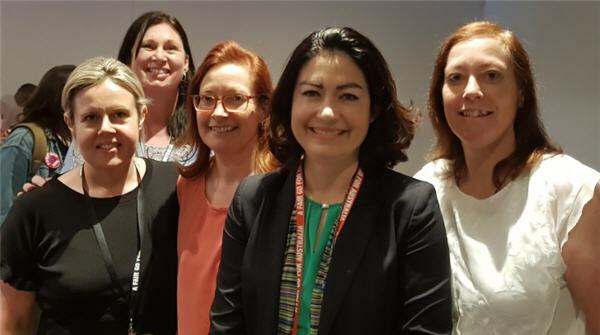 Terri Butler with the Oz Kiwi team at the ALP conference in Adelaide last December. L to R Natasha, Emma, Liza, Terri and Joanne.